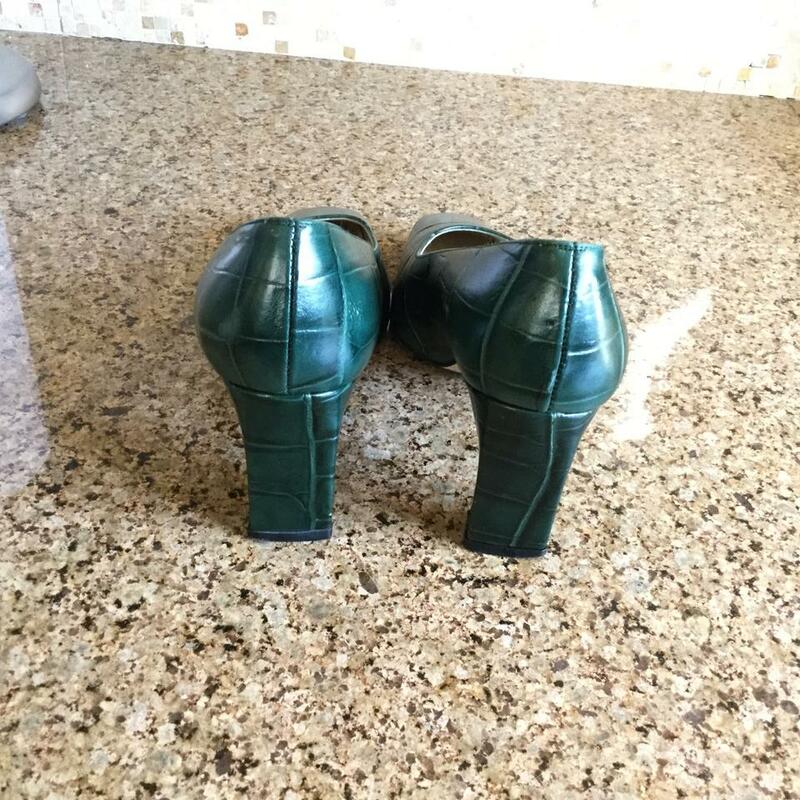 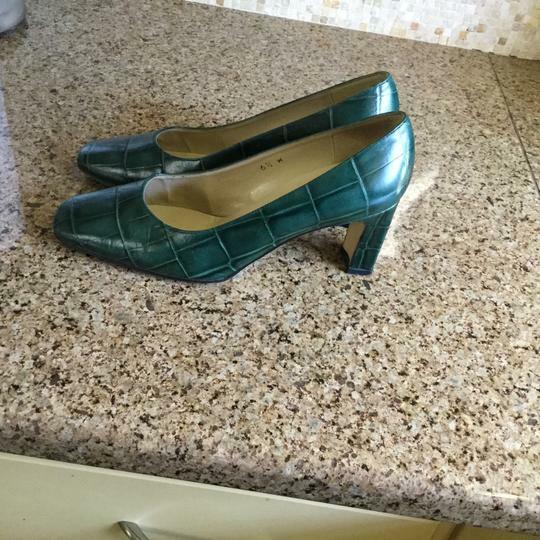 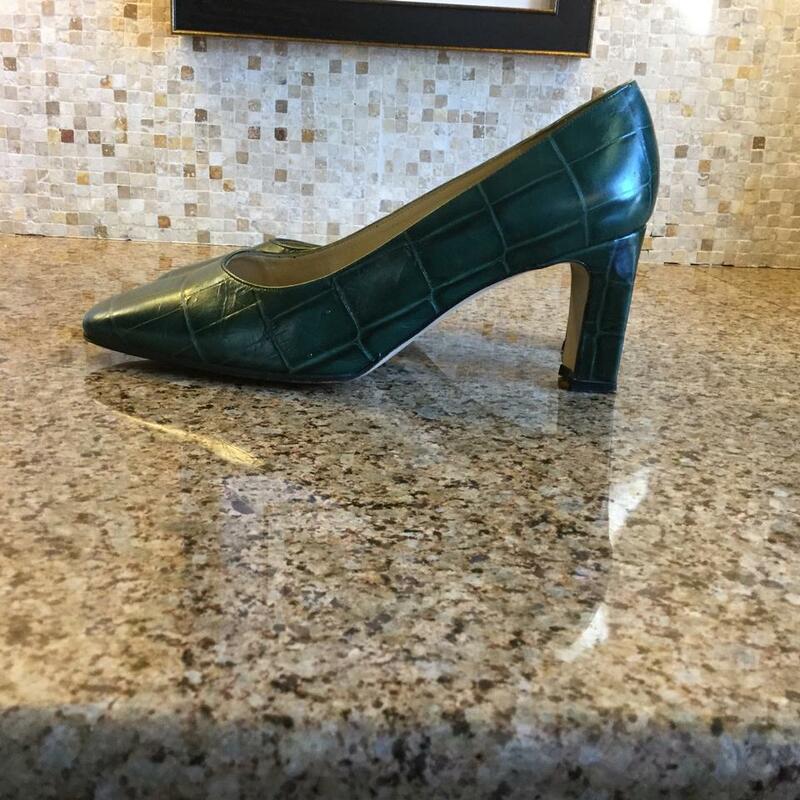 When was the last time you found a gorgeous forest green pump? 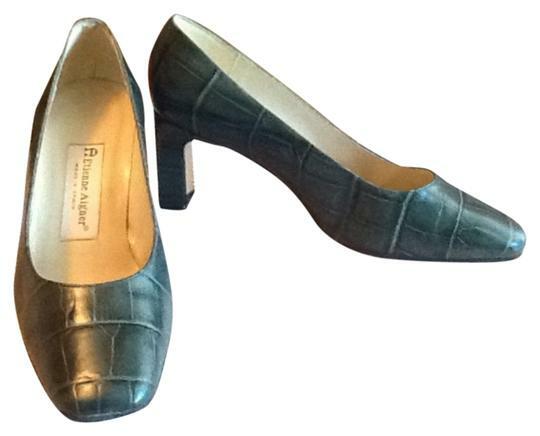 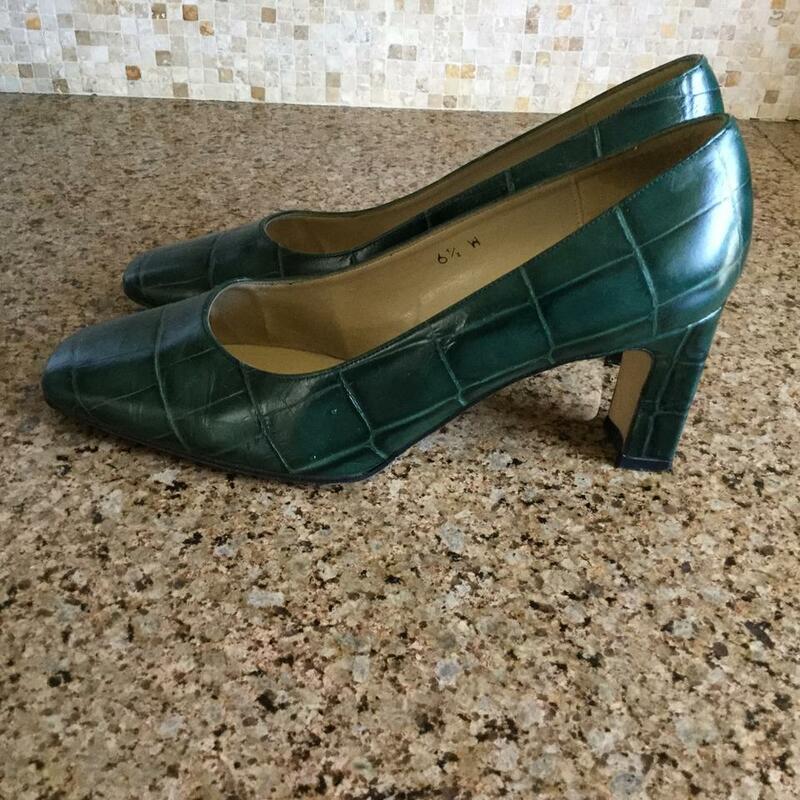 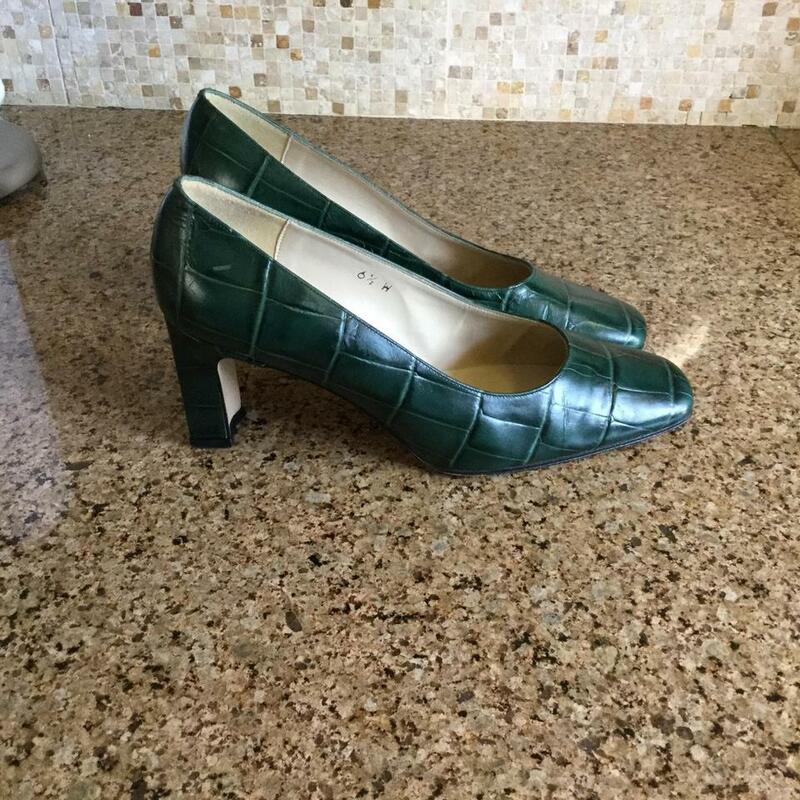 Vintage (sort of) Etienne Aigner "Valencia" is still on trend with Alligator embossed leather upper and a 2.75" chunky heel. Impeccably crafted in Spain.